Cloudy skies with periods of light rain later in the day. High near 55F. Winds S at 5 to 10 mph. Chance of rain 60%..
Cloudy with occasional rain showers. Low around 50F. Winds SSW at 5 to 10 mph. Chance of rain 60%. 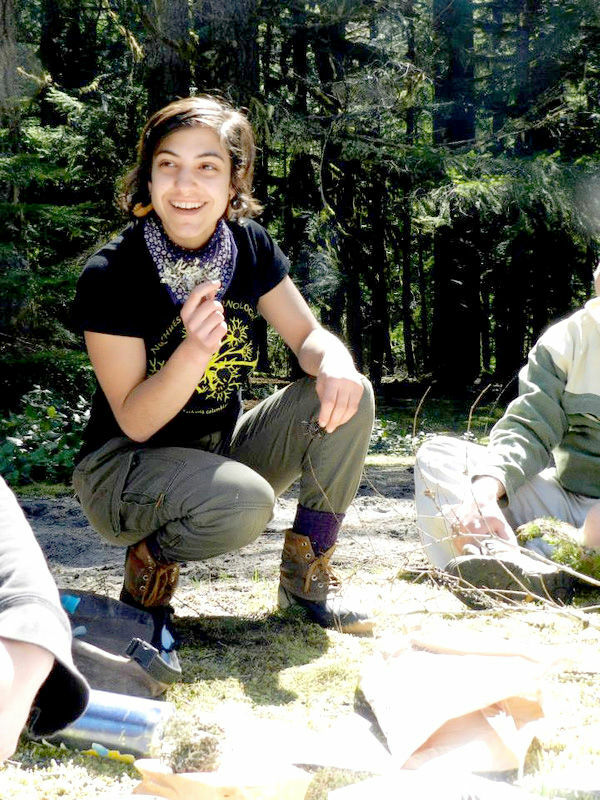 As the days continue to get longer and the signs of spring start budding all along the Tillamook Coast, the Explore Nature Series is gearing up for another jam-packed season of guided hikes, walks and paddles. The series works with a consortium of volunteer organizations to offer community events that showcase the beauty of the Tillamook Coast and educate visitors on how to enjoy these spaces responsibly. Several favorite events are returning again in 2019, including the ever-popular Lichen Hike on Saturday, April 6, at Nedonna Marsh. This beginner-friendly hike is led by Maysa Miller, the Northwest Oregon Restoration Partnership Coordinator at Tillamook Estuaries Partnership. Miller has been helping people discover the many wonders of lichen for several years. “Once you realize how fascinating lichen are, and the diverse types of species that are out there, it changes the way you look at the landscape around you,” she said. This year’s lichen hike is offered in conjunction with the Tillamook County Pioneer Museum, which recently acquired the Nedonna Marsh site. Spots on this hike are limited and registration is required. Participants will to learn what exactly a lichen is, how to identify different types and get a grounding in the ecological components that make lichen so important for the environment. Also returning this season is Shop at the Dock — Garibaldi, this time with several dates planned, starting with Saturday, April 13. The Explore Nature series will include a host of other events throughout the year, from “potting parties” at the Tillamook Estuary Partnership’s nursery to gardening days at Alder Creek Farm and a Cape Meares Lighthouse Celebration. Friends of Netarts Bay will be bringing back the clamming clinic for newbie clammers in April, tidepool discovery days in Oceanside, oyster tours of Netarts Bay and guided kayak trips, some of which will have a bird focus for those interested in migratory bird habits. A full list of events can be found at explorenaturetillamookcoast.com. Explore Nature Series programs are paid for in part by Visit Tillamook Coast, the Economic Development Council of Tillamook County and the Travel Oregon Forever Fund.